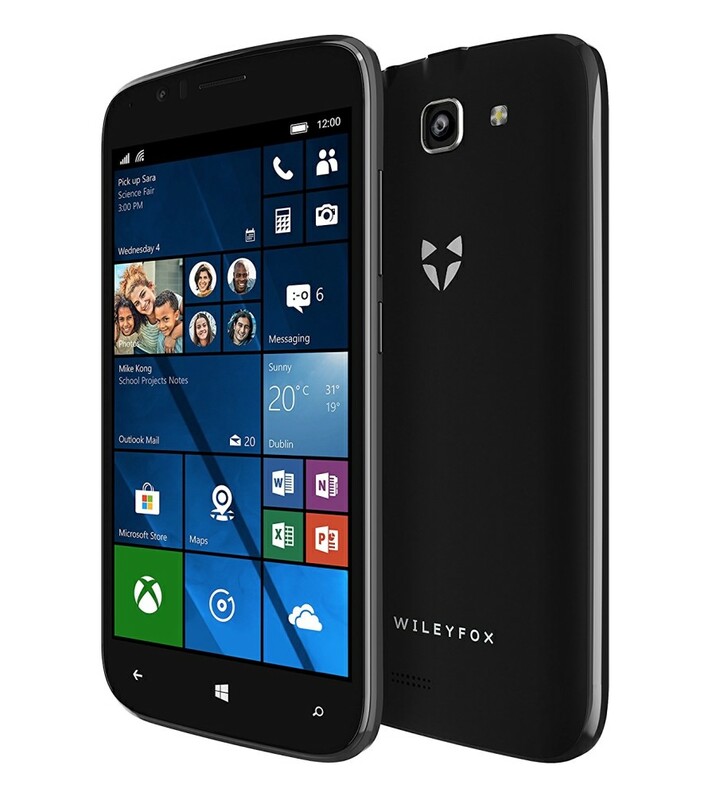 First seen at IFA back in August, the Wileyfox Pro has now surfaced, shipping in a couple of weeks, for £189 inc VAT. It's fairly low end, but Wileyfox clearly sees a security-conscious market in the enterprise world and I'll bet that price is negotiable in bulk, so think £120 each, ex-VAT, to companies? Access your content from anywhere: Windows 10 Mobile comes with Office apps built-in for maximum productivity on the go while OneDrive cloud storage gives you access to your files whenever and wherever you choose. Great apps at your fingertips: Enjoy great built-in apps for music, video, photos and more – plus a one-stop shop for all apps, games, music and more with the new Store in Windows 10. Free personal assistance: Cortana, your truly personal digital assistant, provides help with directions, reminders, and other everyday tasks across all of your Windows 10 devices. The angle here, other than price - think sub-£150 in bulk to businesses - is security. Android is being shown up more and more as insecure once fallible humans get their hands on the phones - it only takes a sideloaded trojan and suddenly your company data is at risk. With Windows 10 Mobile under the hood, there's bomb-proof security ('restrictions') imposed and, to be honest, far, far less chance of the user trying to hack anything onto the phone that might compromise it. The security of your experiences, identity and data on the device and in the Microsoft Cloud is paramount for Wileyfox.